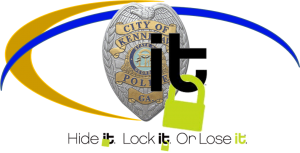 The Kennesaw police department is kicking off a new campaign for the city called “Hide It, Lock It, or Lose It”. Over the next several months, we will be using this campaign in partnership with our community to reduce our overall crime. Expect to see different forms of communication throughout the city including handouts at city parks, neighborhoods and the use of the cities DOT message boards. Lock It: Lock your vehicle every time you leave it unattended and take your valuables with you. Hide It: Hide your valuables in your trunk, under the seats, in the glove box, or other compartments within the vehicle. Ideally, take your property with you. Chief Westenberger continued by saying “Recently, we have seen a huge success in the city of Dana Point, California through an award winning program: “Hide It, Lock It, or Lose It”. This program uses some of the grass roots problem solving techniques we already focus on through our TRACK (COMPSTAT) program model. 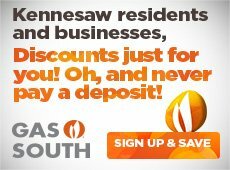 From Dana Point’s success, we have asked them to allow us to use their program (name and literature) here in Kennesaw. We are excited to say that they have agreed. We wish to thank you, the community, for joining in to make the City of Kennesaw a safer place to live, work, and play. And don’t forget to Hide it, Lock it…. So you don’t Lose it!